Without our amazing patients, we would not be in the running to defend our title as Charleston’s Choice Orthodontics Winner. We are constantly humbled and amazed by the support we receive from our patients. We take your feedback and reviews very serious. 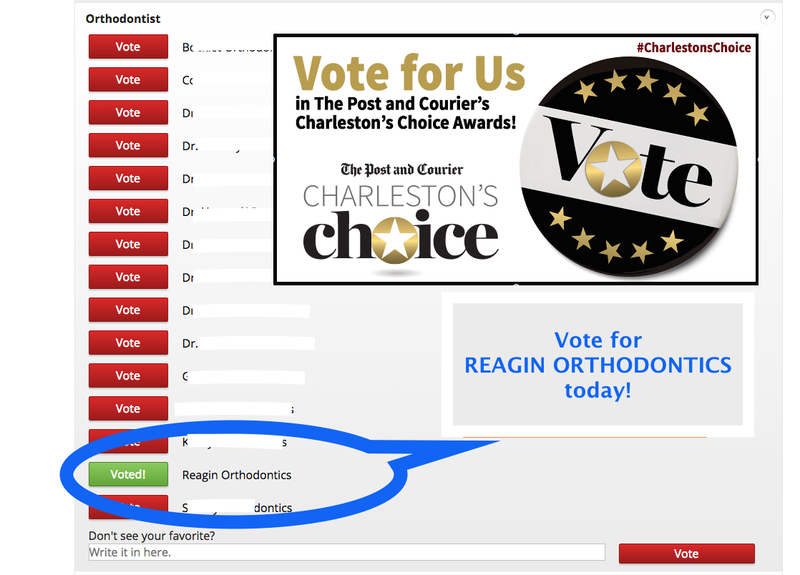 Please click HERE to vote for REAGIN ORTHODONTICS today!